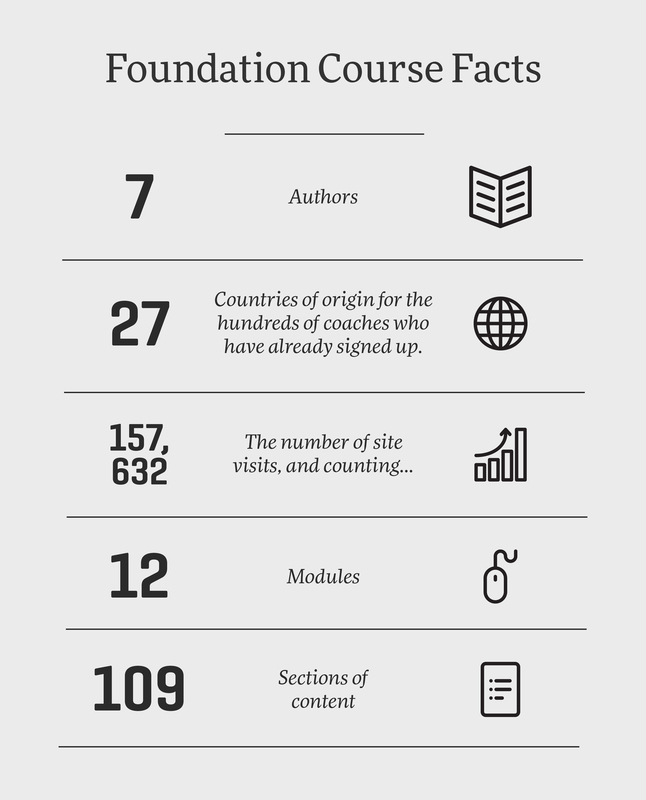 Are you curious about the Foundation Course? Do you want to know more? Our Digital Education Manager – Ellie Spain is here to help. In this article, she shares a behind the scenes journey into the making of our inaugural Digital Coach Education course, and the objectives behind its development. What was the objective of the Foundation Course? In the summer of 2016 I first heard the brief for the Foundation Course – and I was excited. I leapt at the chance to manage the project as I was certain the course could bring something new to the global Coach Ed table. Fast forward to December 2017 and the product is now complete. It’s been a great journey, working with some incredible people. Our objective from the outset has been to deliver a new breed of course – one that can update and improve upon Coach Education as a whole – and bring a more applied approach to fundamental coaching theory. As such, it has been a critical consideration throughout the creation of this course to ensure theories and concepts are not only explained, but then translated through the lens of coaches who have a deep understanding of their practical application: Coaches who deeply understand how to apply and adapt fundamentals in a manner relevant to a range of sports, athletic abilities, and coaching scenarios. This course is written to cater for coaches of all speed, power sports – at all levels. How is the Foundation Course different to all the other courses on the market? As said, first and foremost we wanted to make this course applied and relevant to what coaches need ‘on the ground’ – not just a bunch of theory siloed into disparate pieces. However, another integral element for us has been to create a product which serves as a living document: one which will continue to evolve and update as new information becomes available; as new research is applied; as we learn more. This method of creation is founded upon the embodiment of our continued efforts to promote the ALTIS philosophy of lifelong learning, improvement, and evolution. This – in our opinion – is necessary to keep pace with the ever evolving landscape of the coaching profession. Further, we wanted to create not just a tick-box stand-alone ‘course’, but one which links to a global educational community, serving as a platform from which coaches are encouraged to network, interact, and build professional relationships. It is firmly our opinion that this collaborative ‘learning in motion’ is something that our profession must include if it is to continue to grow and advance. As such Foundation Course membership includes access to our interactive AGORA Council on Facebook, where coaches can digitally discuss topics with ALTIS, and other coaches; post questions, and access the necessary support as they work through the Foundation Course. 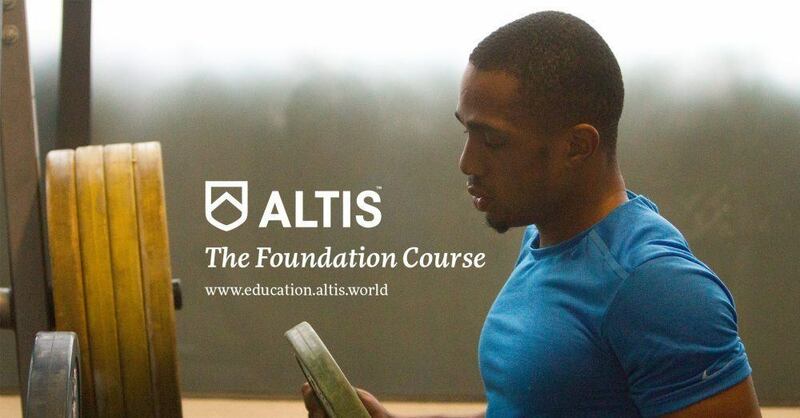 The ALTIS Foundation Course is designed not only to educate, but to inspire Coaches and build connection. I was privileged to work with some incredible minds through the production of this course. The authors were: Dan Pfaff, Stuart McMillan, Dr Matt Jordan, Derek Evely, PJ Vazel, Andreas Behm, and Jason Hettler. In addition, we have had some really outstanding guest contributions from an amazing lineup of coaching professionals, including: Brett Bartholomew, Dr Ken Clark, Martin Bingisser, Dr Angus Ross, Dr Jas Randhawa, Shawn Myszka, Greg Hull, and Vince Anderson. When you consider the combined experience and intelligence of this group of people, it’s really quite mind blowing we managed to pool this collective together. A) To provide structure for the release of the course in its inaugural year. B) To offer a method of flexible purchasing options for users. The structure means coaches can study the course either by purchasing access outright, and working through the modules in series; or by purchasing one semester of four modules at a time and working through the semesters in series. We have deliberately set up the course to be taken in a specific order as each module builds on the one previous to it. Each module is then broken into a number of sections, which either have specific learning checks, or suggested tasks to complete before progressing onto the next section. In addition, content is complemented by a variety of definitions and glossary terms; discussions and explanations; graphics to illustrate key points; videos to complement the content; section summaries, and a variety of further learning resources and references designed to encourage critical thinking. What is the specific content of each module? The 12 modules are comprised of a total of 109 sections. The benefit of this format and structure allows coaches to study online at their own pace, with a guided program of module themes which knit together through the course. In addition, with the lifelong access the course provides, as we update and evolve the content year-on-year, course members will always have the facility to go back, revisit, and refresh on topics as required: Essentially what you’re buying is a lifelong learning resource. The Foundation Course is made up of 12 modules of content, divided into three Semesters. What kind of feedback have you had from the course? “With so many resources available at our fingertips nowadays it is very hard to decide what is truly worthwhile of our attention and money. I am not someone to promote any resource that I do not firmly believe in. So, I can assure anyone reading this, that the ALTIS Foundation course is without doubt one of the few resources that is worthy of your time, energy, and attention. This outstanding course brings all the fundamental coaching principles together in such a cohesive and holistic manner. The modules have been organized into a systematic sequence, so that each one builds upon the foundation laid down by its predecessor, and this organization allows the end-user to be fully engaged and present in the learning process. The quizzes at the end of each section are also another extremely beneficial in-built feature, that further your retention and consolidation of the abundance of information that this course covers. 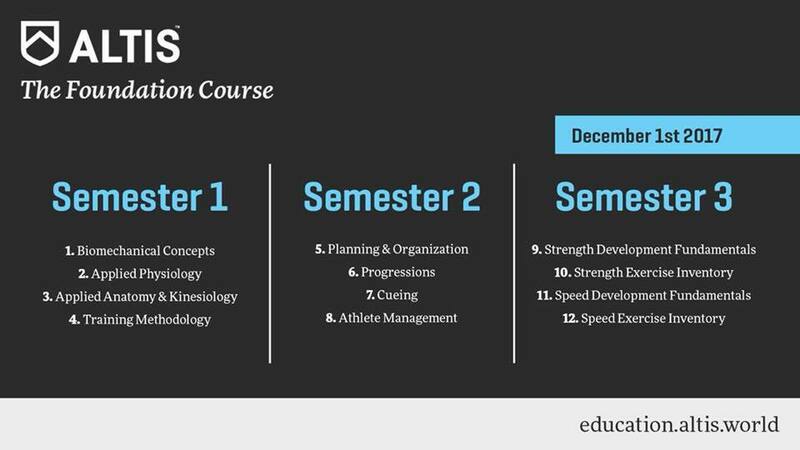 As someone who is currently completing a MSc in Strength and Conditioning, I can confidently say that the ALTIS Foundation course rivals any third-level curriculum that is available today. Oh, and its about 1/10th the price too! This is actually the only area of the ALTIS Foundation course that I would criticize!! Its damn TOO CHEAP!! 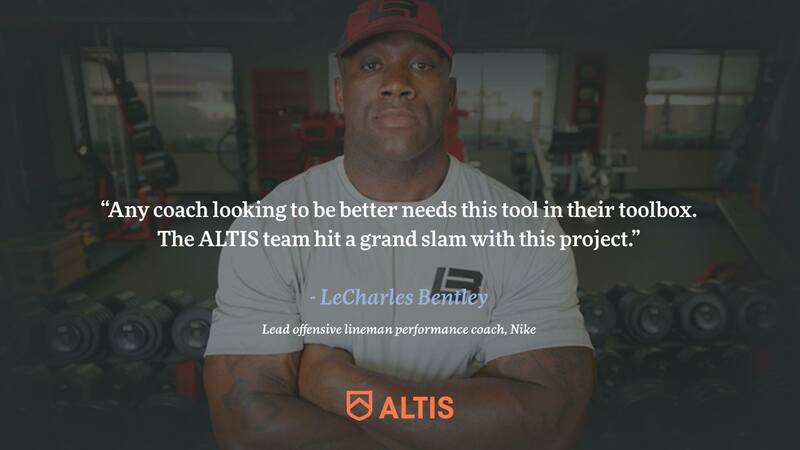 LeCharles Bentley – ALTIS Foundation Course member. How much does Course Membership Cost? The second option is to purchase access to one semester at a time. With this route you pay $199 per semester, and you will need to purchase Semesters 1,2, and 3 separately, and in that order, due to the structure of the content. When you invest in either purchasing option for the Foundation Course you are also entitled to 10% savings on ALTIS Apprentice Coach Program enrollment. What do coaches get on completion? Once coaches successfully complete the course (which requires all 12 modules to be completed, and learning checks to be passed with a score of 80% or higher) coaches are awarded with ALTIS Foundation Course Certificate of Completion. We are also in the process of applying for CEU credits to be associated with the course which would be valid for all coaches completing the course from 1/1/2018 onwards. What is the next step for coaches once they’ve finished the Foundation Course? While the Foundation Course represents our first step into providing structured digital learning, it is certainly not going to be our last! Our mission is to continue to build the ALTIS Education Community as a dynamic, growing and evolving learning hub. From 2018 onwards, we will be releasing a range of additional ALTIS Classroom content alongside our existing education options: ALTIS 360, the ACP and Internships. Future classroom content will include the much anticipated Digital Performance Therapy Course, as well as provide digital learning choices for continued learning at Foundation Level. This will involve a range of elective, stand-alone bolt-on modules on specialist topics – ranging from Track & Field event group specific modules, to agility, to Motor Learning, and much more. 2018 will see the launch of a range of new digital content to complement the ALTIS Foundation Course. Can we see a course preview? For sure! Check out the video below which will give you a sneak peek into the Foundation Course, its look, feel and content. Just head to education.altis.world and after a few simple steps, you’ll be able to enjoy access to the ALTIS Foundation Course.